Night Market has announced all the neighborhoods it will visit this summer. Night Market has announced which neighborhoods it will visit this year. The traveling street food festival, hosted by The Food Trust, will return for its eighth season on Thursday, May 17. Burholme in the Northeast will be the first stop. The neighborhood also kicked off last year's season. The Night Market will also pop up in the Gayborhood this June, in Kensington this August and in Point Breeze this October. Each Night Market will take place on a Thursday evening. 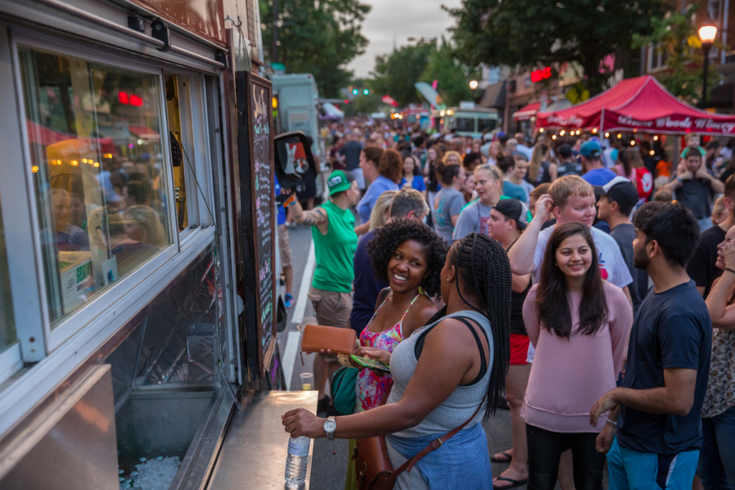 Attendees can enjoy car-free streets, tons of food trucks and mobile vendors, beer gardens and live music. Start making plans to attend them all.